There are a million things you do every single day to show your children you love them. You feed them, you make sure they have a coat on if it’s cold outside, you read them stories, and tuck them in at night. You do all these things and much more, day in and day out, to make sure your children are safe and secure. You do these things because you love your children more than you could ever express. Another way you can show your kids you love them is by creating an estate plan. Unfortunately, this is one thing that many parents leave undone because it’s a difficult subject to ponder. Who would take care of your kids and love them as much as you do if you weren’t here to do so? What can you do to make sure they are well provided for if the unexpected happens? Even if these questions are hard, they are worth pondering because creating an estate plan is one of the greatest gifts that you can give your children. By doing so, you are ensuring that they will be well loved and cared for no matter what. You are providing the best opportunity for them to thrive by making sure there will be no gaps in their care or uncertainty about your wishes for them. By creating a plan, you can eliminate unnecessary conflict in your family. If you don’t make the decision yourself, the choice of who will be the guardian of your kids and who will make financial decisions for them will be left up to a judge. The judge will try his/her best to make good decisions for your family, but the judge doesn’t know you or what you would have wanted. The judge will be overworked and has to make decisions based on the amount of information presented, which will not be all that much if you haven’t provided any indication of what you want in writing. You will become an even better parent by engaging in the process of making decisions for your kids care if something happens to you and getting clear on the values and beliefs you want to pass on to them. The best part is, even though you are planning for an event that will most likely occur a long-time in the future, it makes you a better parent immediately. When you clarify the way you want your children raised and the beliefs you want them to carry into the world, you naturally begin to be more conscious about your relationship with your children now. If you’re interested in getting started, please contact me today. I’m happy to answer any questions you have and will make the process far easier than you expect. 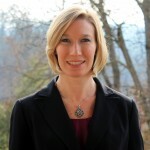 Julie Cornell is an estate planning attorney in Nashville, TN. You can find more information about her services at www.lawclg.com.